US equity indexes closed moderately higher, sp +14pts at 2651. The two leaders - Trans/R2K, settled higher by 0.4% and 0.1% respectively. 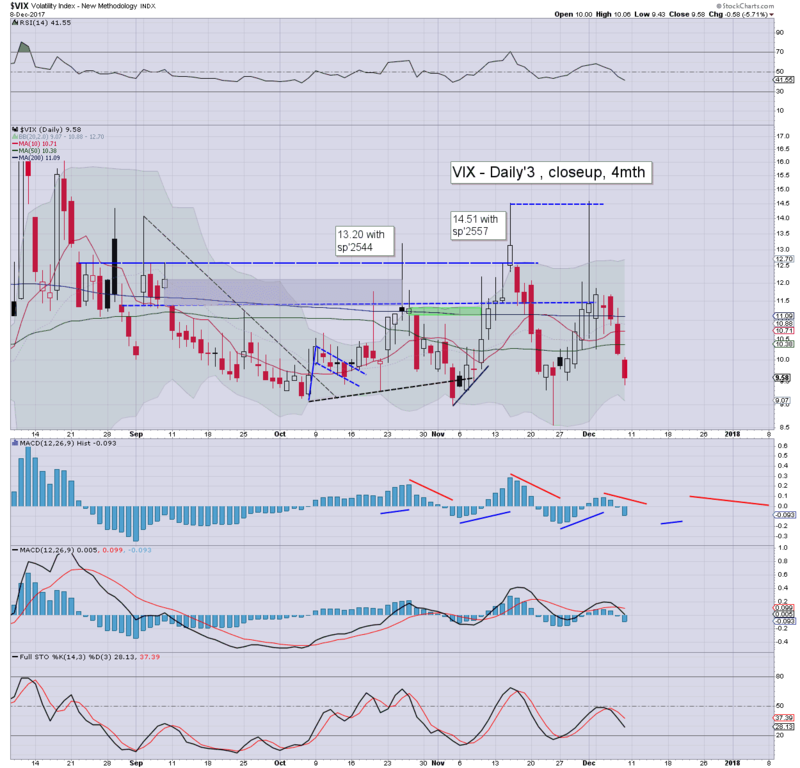 VIX settled -5.7% at 9.58. 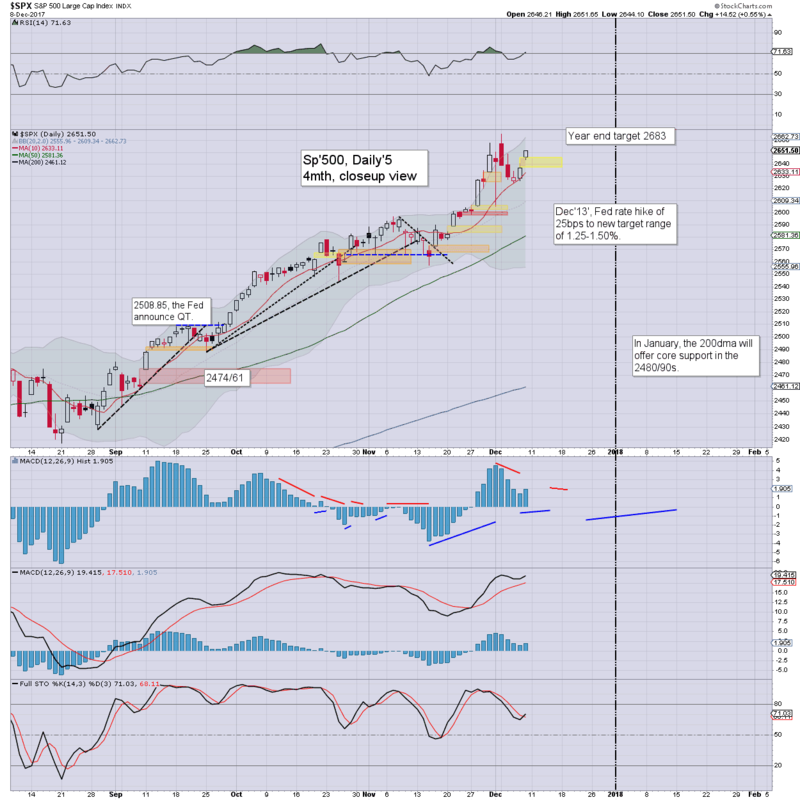 Near term outlook offers a little cooling, but broadly, the year end target of 2683 remains on track. US equities opened moderately higher, and held gains into the weekend. 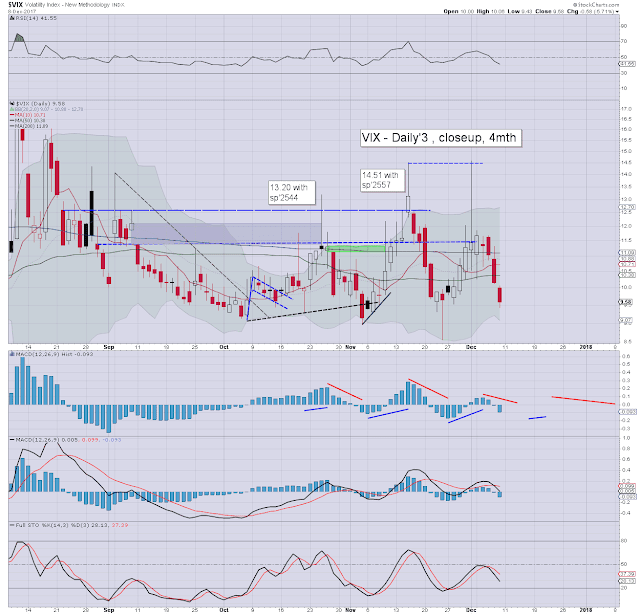 Volatility was naturally ground lower for a fourth consecutive day, with the VIX notably back in the 9s. The 8s, even 7s are a viable threat before year end, not least if sp'2680/2720 zone.